This video is available for broadcast quality download, re-use and B-roll purposes. For more information, contact Nathan Hurst: hurstn@missouri.edu. For Young Adults, Appearance Matters More than Health, MU Research Suggests from MU News Bureau on Vimeo. COLUMBIA, Mo. –When it comes to college-age individuals taking care of their bodies, appearance is more important than health, research conducted at the University of Missouri suggests. María Len-Ríos, an associate professor of strategic communication, Suzanne Burgoyne, a professor of theater, and a team of undergraduate researchers studied how college-age women view their bodies and how they feel about media messages aimed at women. Based on focus group research findings, the MU team developed an interactive play about body image to encourage frank discussions about conflicting societal messages regarding weight, values and healthful choices. 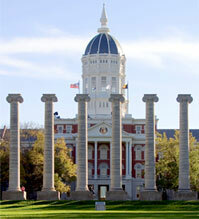 The project is part of Mizzou Advantage’s food for the future initiative. Mizzou Advantage was created to increase MU’s visibility, impact and stature in higher education locally, statewide, nationally and around the world. Mizzou Advantage is a program that focuses on four areas of strength: food for the future, media of the future, one health/one medicine and sustainable energy. The goals of Mizzou Advantage are to strengthen existing faculty networks, create new networks and propel Mizzou’s research, instruction and other activities to the next level. Additional funding for script development and performances came from the MU Vice Chancellor for Student Affairs.